C'mon, admit it. You always secretly wanted a Call of Duty movie didn't you? After all, it's not like there have been enough shooty, bang-bang films made in the all too brief history of moving pictures. 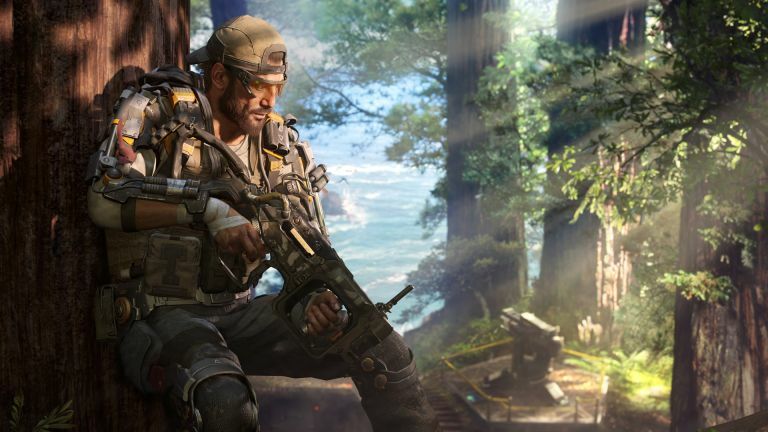 Activision always likes to give you exactly what you want though and, just for you, has created the Activision Blizzard Studios, strongly hinting at an upcoming Call of Duty movie to go alongside the actually-rather-exciting Warcraft: The Beginning. The new Warcraft flick is a fourteen hour epic featuring a human paladin character called Leeroy who spends pretty much the entirety of the movie killing boars - punctuated only by agonising decisions over his choice of armour - before finally charging into battle. And getting everyone else killed by rookery whelps. Sorry, forgot to add the *spoilers* tag there. That's coming out next year thanks to a partnership with Legendary Pictures, but the newly minted Activision Blizzard Studios is also set to release a Skylanders Academy TV show in 2016 too, with the prospective CoD movie following in 2018/19. It's probably going to take that long to really nail down the correct actor to portray 'Soap' MacTavish with gravitas the role deserves. And speaking of picking the right actor for game roles - who's going to play Geralt in the upcoming The Witcher movie adaptation, slated for a 2017 release? Our resident casting expert keeps alternating between Game of Thrones' Nikolaj Coster-Waldau and Excalibur's Liam Neeson. But do we really need more movie's based on popular video games? There is already so much cross-over between the two media - with big-budget games already falling into the same sequel-laden traps as Hollywood has - that it just feels like an easy money-making exercise than an attempt to create something worth all that celluloid. And historically movies based on game franchises have not been known for their quality. In fact I can't remember a game-based film that didn't make me want to rip out some tendons and strangle myself. There must have been one. When it comes to that 'so bad it's good' thing people have soft spots for the odd Resident Evil movie or the Mortal Kombat film, but no-one's going to pretend Kylie's turn in Street Fighter was worth it being Raul Julia's final movie role. And arguably games are a far more involving medium for telling a grand, epic story than cinema anyway. So maybe TV is a better outlet for video game adaptation. With the rise in original programming piloted by the likes of HBO, and now built on by Amazon and Netflix, the money being spent on big budget licensed content could translate perfectly to a longer-format game adaptation. Games often work in chapters, far more than they operate in the concise three-act format movies often adhere to. And that lends them far more to an episodic layout. The good news here is the proposed translation of the The Witcher to the big screen could potentially lead on to a TV spin-off, according to some of the rumours surrounding the adaptation. Now if we could get a TV version of Fallout, with all the deep, dark humour and its penchant for gore, then I'd be a happy man. Though I bet it's more likely we'll just get more and more Call of Duty films instead. What would be the best TV to watch a Fallout show on?